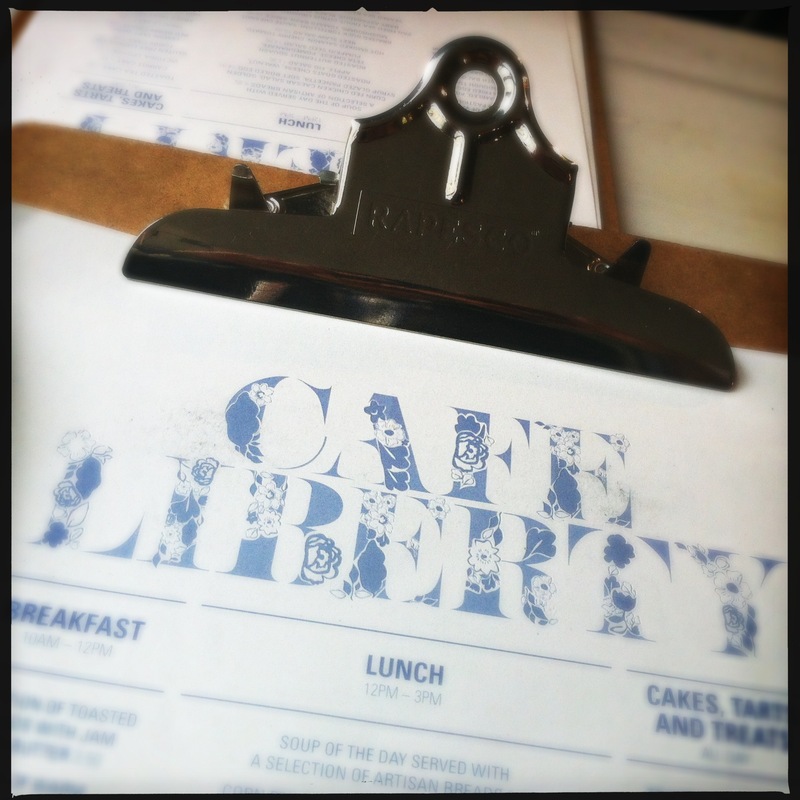 Yesterday, my friend and I met up at Cafe Liberty for a girlie catch up. In London, the excitement for the Diamond Jubilee weekend was palpable. The passengers filed into the carriage of Piccadilly Line I was on at Kings Cross, the numbers of them were carrying suitcases with children in tug. Are they visiting London for the pageant and the concert? Even though the weather forecast was rather unpromising, that didn’t dent the general sense of jubilation. It is undeniable that this weekend is a history in the making. It wasn’t bad however it wasn’t outstanding either. A kind of predictable. The amount wise, it was just about right. Though, their sandwich could have been filled a little more generously. Especially, the coronation chicken was so thinly spread – in fact, it was like “Post-it” note thin between the loaves! 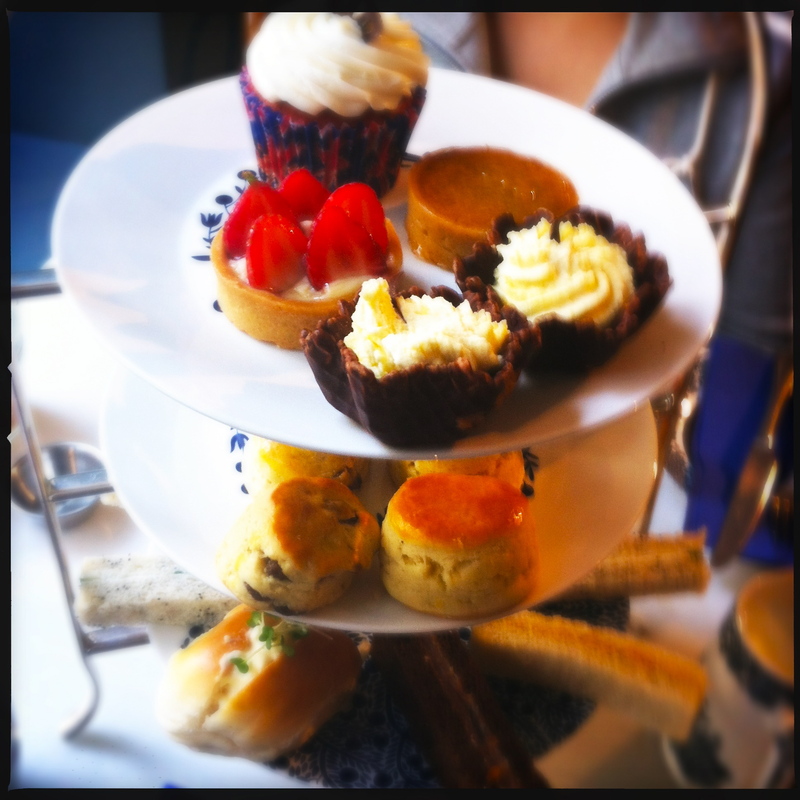 May have been to do with the Jubilee, I would rather have a cucumber one with my afternoon tea. Their scones were more palatable. Even though it was not warm ( a minus), it was not dry (a plus). And their cakes, the strawberry tart was ok and so was the other one. I couldn’t decipher the flavour of the cupcake with vanilla frosting. The sponge was kind of blackcurrant red. However, it was lacking any tanginess. Just bland and sweet. I would have loved it if it were a lemon cupcake! And then, my friend and I were both rather unimpressed with this concoction made of a waffle molded like a cup with chocolate coating with cream filling. This is not a cake, is it? It’s a kind of children’s cake they make by themselves at their 5 years old pal’s birthday do! It was a definite cop out, we agreed.